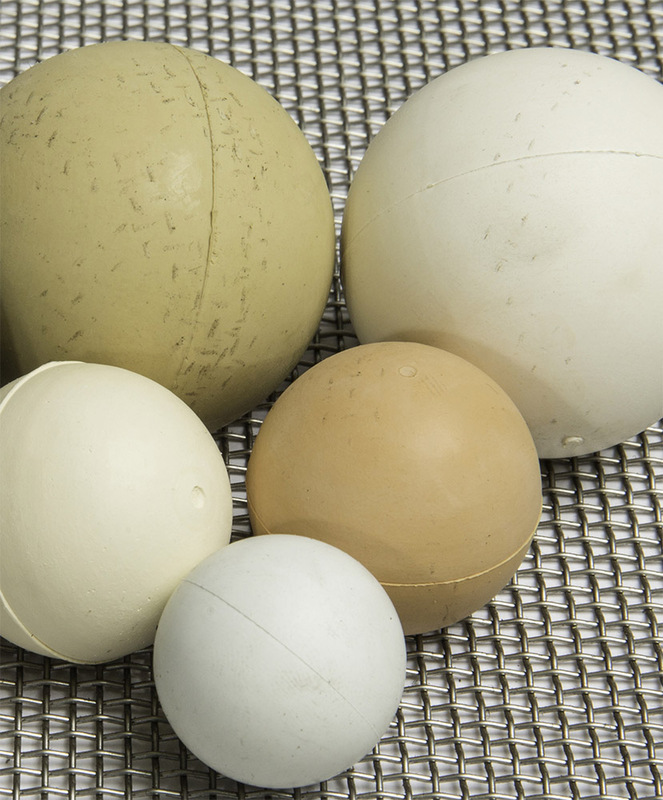 We can help you select the right cleaning ball for your application. Mesh cleaning balls are a very important part of your screening application, they help control binding of your product by keeping the screen surface clear, thereby improving performance. For maximum performance for your mesh cleaning balls, make sure you replace them with the same size and material of balls you remove. These balls become less effective as they wear. We stock 1 1/8″, 1 3/8″, 1 5/8”, 1 3/4”, and 2″ cleaning balls in natural rubber, neoprene, silicone, EPDM and nitrile. Additional sizes and materials can be provided upon request. 1-800-866-6455 (toll free) or 870-673-7226.